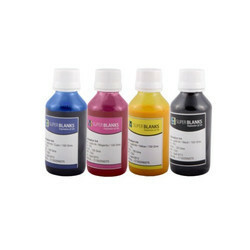 Pioneers in the industry, we offer 100 ml set of 6 sublimation inks, 100l sublimation ink, 100 ml sublimation ink, 100 ml set of 4 sublimation inks, 1l set of 6 sublimation inks and 1l set of 4 sublimation inks from India. 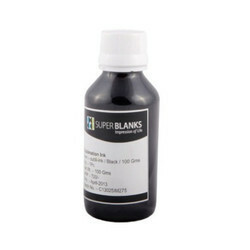 Dye Sublimation Inks produce beautiful and high-quality vibrant color printing on the polyester fabrics and provide unlimited design potential for a wide range of applications. 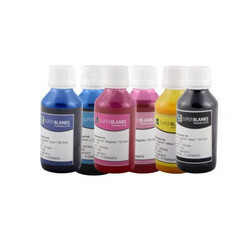 Our sublimation inks are often transferred to bags, coated mugs, tiles, caps, T-shirts, mdf products etc. 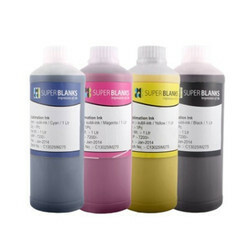 With advanced technology and premium raw material, the ink has perfect fluency, great color saturation and high colour fastness. 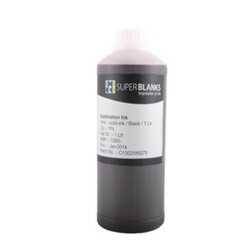 It has good fluency suitable for continuous mass printing giving stable printing performance and no clogging to printhead. 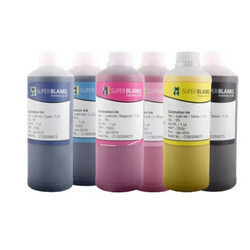 Having excellent colour saturation, wide colour gamut, and great colour fastness it is best suited for all your Sublimation needs.